Beauty school student in black-and-green street style while out in Harajuku. 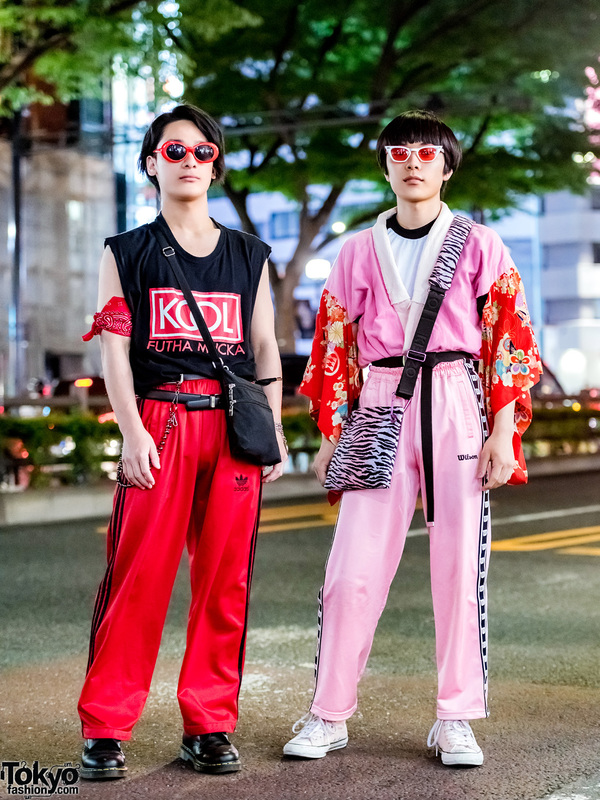 Harajuku trio in track pants streetwear with cropped top, vintage tee, crossbody bag, chain necklace, Nike sneakers, platform booties, and accessories. 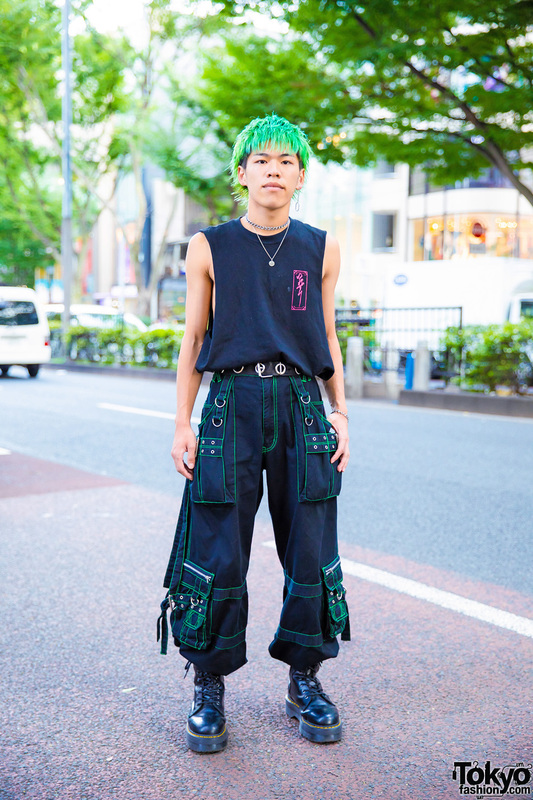 Harajuku guy in black and white fashion with half and half sleeveless band shirt, black wide leg pants, leather lace up shoes, and accessories such as hoop earrings, rope pendant necklace and a rope bracelet. 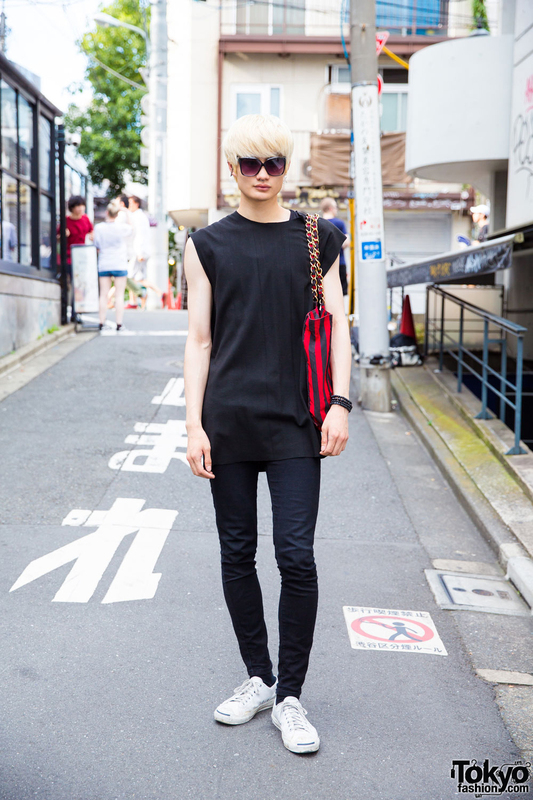 Harajuku blonde guy in black streetwear fashion with sleeveless shirt, drawstring pants, knee high socks, sneakers and drawstring bag. 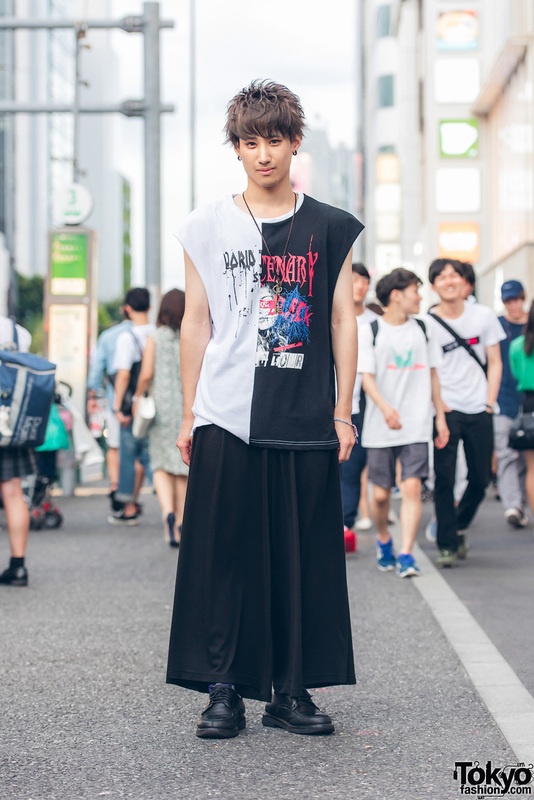 Harajuku model in a minimalist fashion look with sleeveless shirt, skinny jeans and canvas sneakers.